The International Light Art Award (ILAA) is entering its third round. The Centre for International Light Art in Unna and the innogy Stiftung are calling for applications for the first and only award for international light art worldwide. Participants are invited to submit their concepts by 16 September 2018. The award ceremony will take place in Unna on 7 June 2019. The biennial award honours emerging artists who contribute to the development of light art in an innovative and creative way. Artists are sought who use light as a primary material and provide an insight into the future of light art. 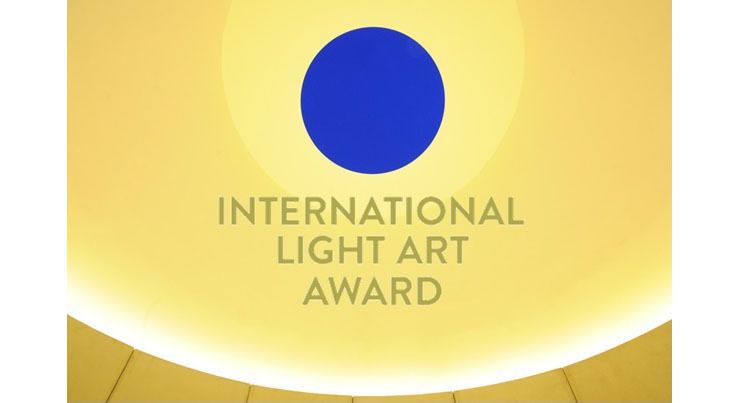 The goal of the International Light Art Award is to inspire the development of new forms of light art. The 3rd edition of the International Light Art Award is the first to be accompanied by a parallel exhibition inviting students to reflect on light art. This parallel exhibition provides a platform for students to advance the interdisciplinary discourse of light art. Professors and teachers from art colleges in Germany, Austria and the Benelux countries will recommend 10 students, who are asked to submit concepts by 16 September 2018. The 10 nominated students will be financially supported with a budget of 1,000 EUR each. All entries should (re-)search, experimentalise and debate under the leitmotif: The Future of Light Art. The Centre for International Light Art Unna hosts the International Light Art Award in cooperation with the innogy Stiftung. For further information about ILAA as well as detailed conditions of participation please visit --> www.ilaa.eu.